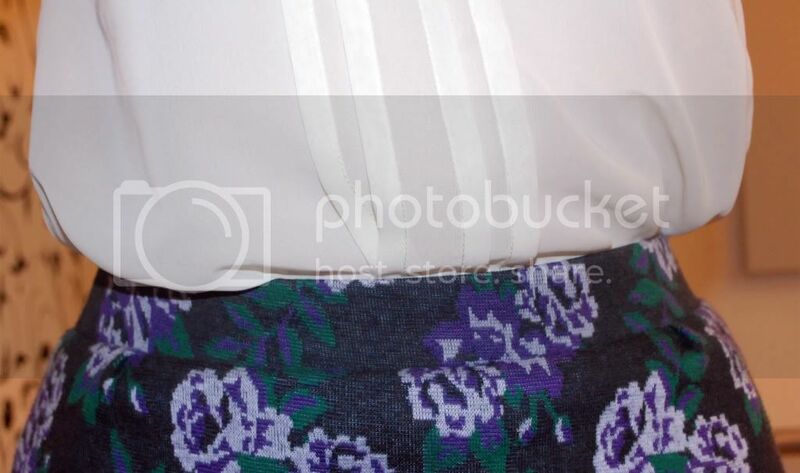 I completely forgot I own this flower print bodycon skirt. I bought it ages ago from Urban Outfitters... In fact, I think it was my first ever UO purchase. I never really had anything that went with it, so it found a safe place at the bottom of the drawer until now. I'm more up for experimenting with print/colour clashes, so I'll probably dig this skirt out more often now... Although it's a little bit big on me now, yet the length has shrunk. Can't win. I'll just layer it up during A/W I think! I'm now home alone for 10 days as the parents are sunning themselves up on holiday. I'm stuck with a very annoying (yet loveable) cat, and that's it. Luckily I have work to keep me occupied through the week, and an exciting night planned next Saturday. I actually have no more updates. When did my life routine become so boring?